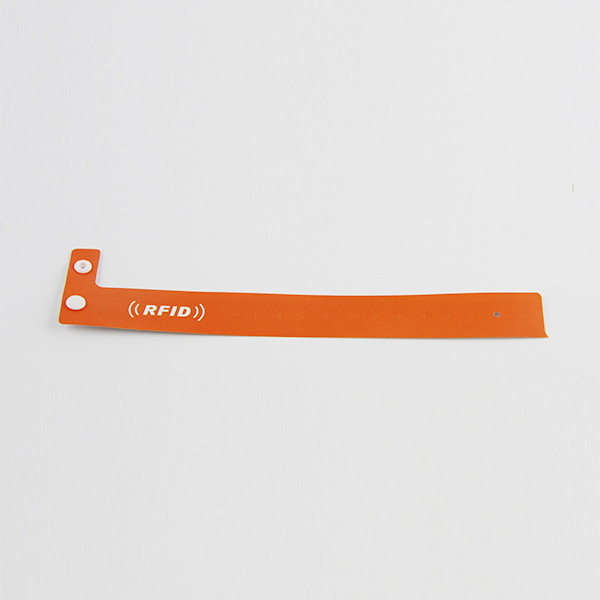 RFID PVC wristband is same as paper RFID wristband or bracelet, buy they are different material for making. 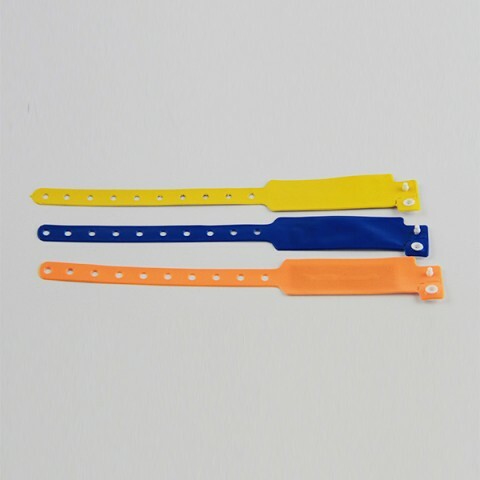 Compared with paper material, it will be more durable and firmly for daily using, especially in hospital or some amusement park management, PVC RFID wristband will many kinds of RFID chips for options. We can make them with 125khz and 13.56mhz, customer logo and artworks printing are available. 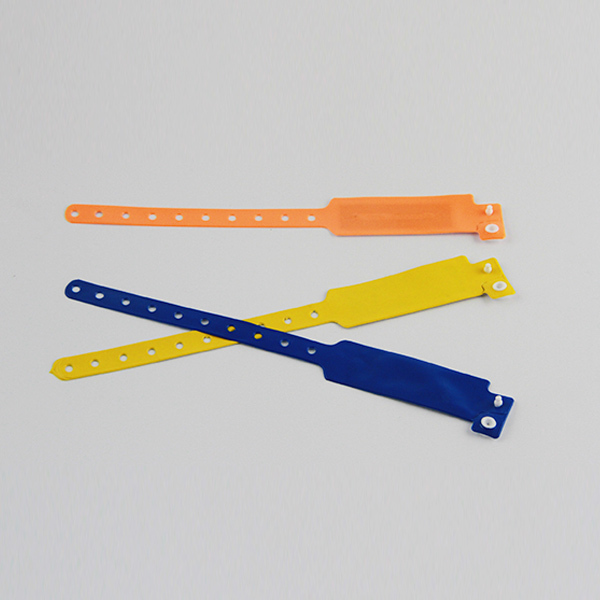 RFID PVC wristband is popular for both convenience and style. It is made up of disposable PVC and thus is easy to use and deal with during and after its usage. To add to all this is the comfortable button lock feature provided with the wristband. The reading range for this wristband nearly is up to 10 cm when you use HF/LF RFID chips, which can be extended to 8 m using an UHF RFID chip. The durable and water-resistant PVC material enables its usage for many applications. It can be used in concerts and festivals as well as the healthcare industry. In the healthcare industry, RFID PVC wristband guarantees to be safe and convenient and can be used to track and authenticate patients, from new born babies to older people or those in need of intensive care. At concerts and festivals, RFID PVC wristband is hugely useful in event management, right from regulating access to visitors to streamlining crowd management, brand promotion and deals at the event place.